what is the best way to export a 99x210 (single page flyer) three times on one A4 page using publisher? Currently I use a A4 page with three columns and a symbol that is replicated to all columns. The drawback is that everything on the page has to be within the symbol. I guess there is a better solution but I cannot find any export setting to export a 99x210 page to print it 3 times on A4. 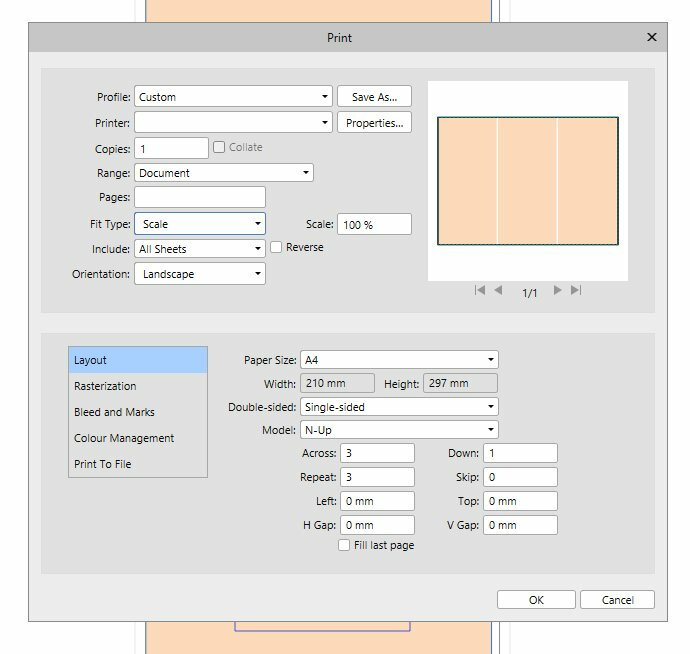 You would set the page size in your document to 99x210 then when printing set the paper size in the print dialog to A4 and the document model to "N-Up". Thank you Joachim_L and fde101. I already tried to print multiple pages to one page using "Copies" and the "Layout" section with the MacOS printer dialog. "Document Layout" with Model "N-up" did the trick!